An 8th-gen quad-core CPU and Nvidia Pascal graphics give it some real oomph. Acer's Switch 7 Black Edition is big, black, and ready to stomp on the Surface Pro and MacBook Pro 13. Sporting the latest quad-core CPU from Intel plus discrete graphics, it offers serious horsepower in a surprisingly slim package. Acer says the Switch 7 Black Edition will be available in North America in December with prices starting at $1,699. 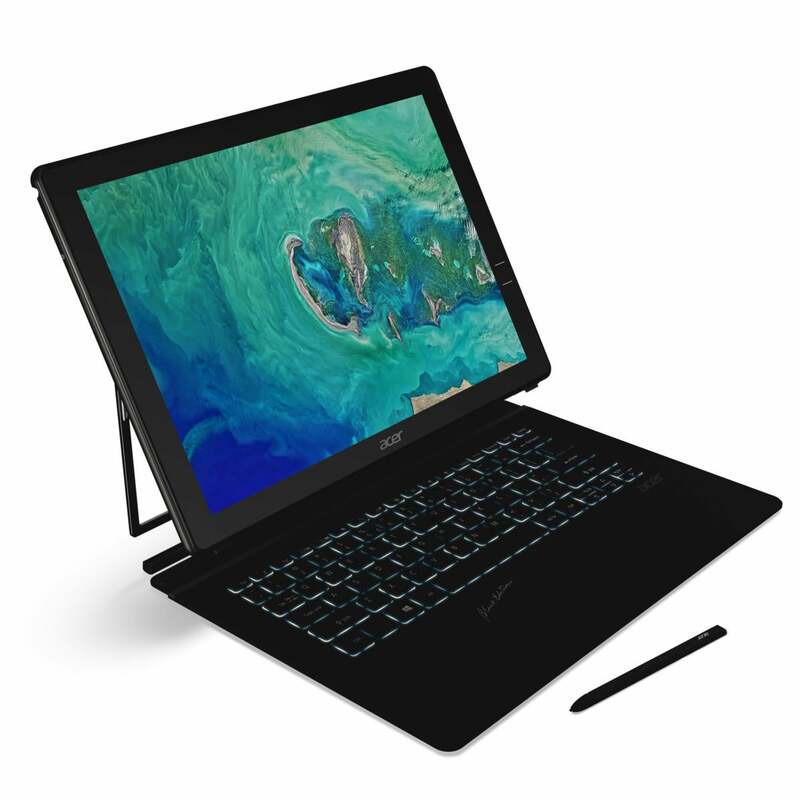 Specs are still sparse, but so far we know that the 2-in-1 device with detachable keyboard (which Acer describes as a "laptop" rather than a tablet) features a 13.5-inch IPS touch screen with a resolution of 2256x1504. It uses a Wacom EMR digitizer with 4,096 levels of pressure sensitivity using the pen. The Switch 7 also features a new take on Windows Hello, with a fingerprint reader that's tied to the power button. Rather than hitting a power button or keyboard and then using the Windows Hello biometric support to log in, the Switch 7 Black Edition will do it all at once. The Switch 7 Black Edition features a kick stand that opens and closes on its own. 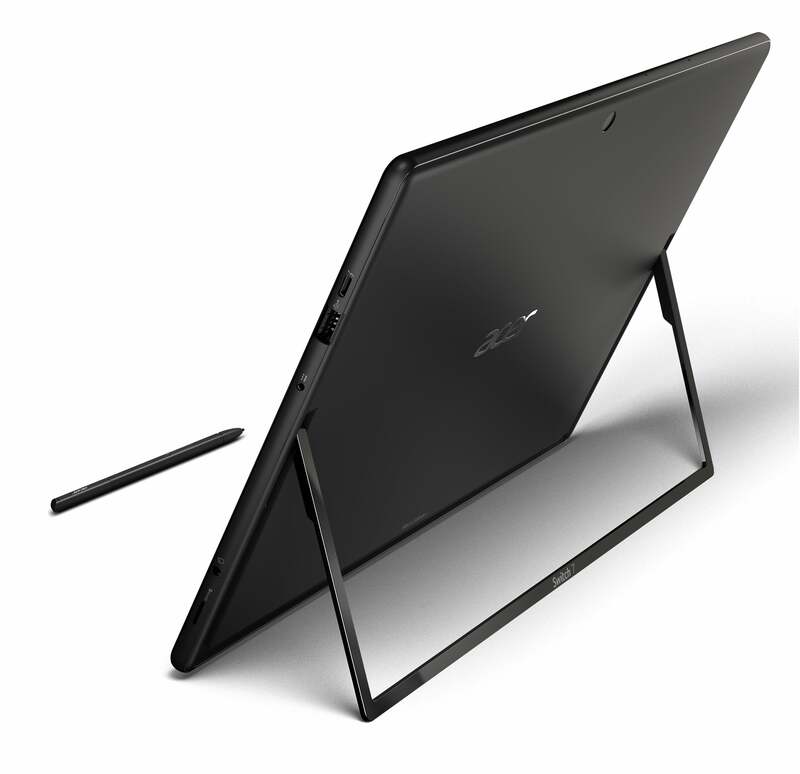 The 2.5-pound body is aluminum and features something Acer calls the AutoStand. 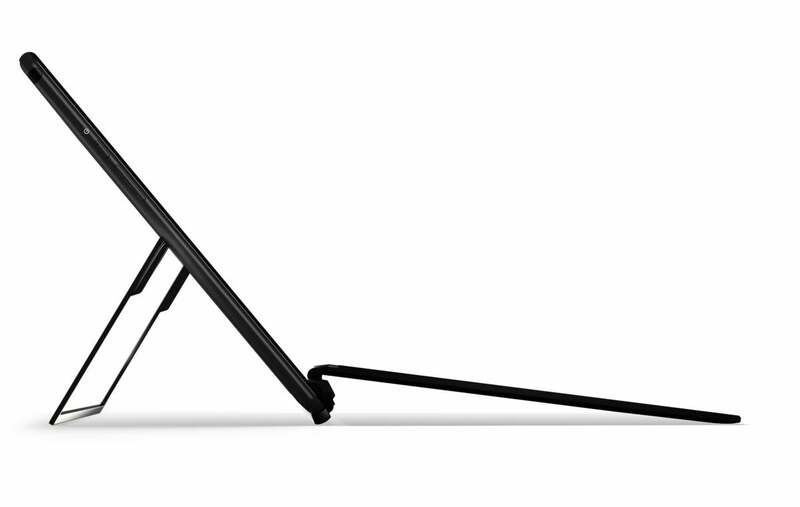 As you might guess, it's essentially a kickstand that deploys and retracts automatically. What's really important, though, is what's inside. Acer has somehow managed to squeeze Intel's 8th-gen Core i7 CPU, along with Nvidia's new GeForce MX150, into the slender chassis. The CPU is quad-core with a 15-watt TDP, and Intel says it's up to 40 percent faster in some tasks. Nvidia's GeForce MX150 was actually announced in late May as a replacement for the elderly GeForce 940MX. Few hard specs are available on it, but we do know it uses GDDR5 and is based on the current Pascal architecture used in the GeForce GTX 10-series of cards. According to Nvidia, the MX150 is about three times more efficient than the GeForce 940MX, as well as about 30 percent faster. Think of the Switch 7 as a supercharged Surface Pro, with a quad-core CPU and Nvidia Pascal graphics inside. The performance bump of the GeForce MX150 should be welcome. Our own tests of several GeForce 940MX-based laptops show it has a healthy advantage over HD 520 and HD 620 graphics, but Intel's faster Iris Plus 640 gives the older 940MX a good run for the money. GeForce MX150 is likely to push Nvidia to the front. The combined advantage of Pascal graphics plus a quad-core CPU vs. the dual-core CPUs with integrated graphics—even Iris Plus—means the odds are very good that this new laptop/tablet will handily outperform both Microsoft's Surface Pro and Apple's MacBook Pro 13. The only fly in this ointment is how well Acer can keep the heat from the new components in check. Acer said the Switch 7 features a fanless dual LiquidLoop cooling system makes it possible for the Switch 7 Black Edition to be used for "intensive tasks, creative production and content streaming." We'll let you know how it runs if we have a chance to test it. Acer's new Switch 7 features an 8th gen quad-core and Nvidia Pascal graphics too.